Immi’s Gift, written and illustrated by Karin Littlewood is a very sweet and simple book with a powerful message: We are all inexplicably connected to each other. 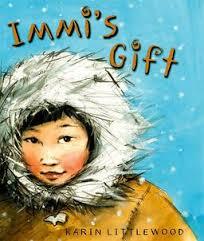 Immi, a young Inuit girl lives alone in her igloo and wishes she had some company. One day while fishing, she finds a colorful wooden bird attached to her fishing rod. The colorful object stands out in contrast to her snowy environment and Immi attaches the wooden bird on her necklace, next to her white polar bear pendant. She later finds other colorful treasures: a red flower, a purple feather, a green leaf and an orange starfish and uses them to decorate her igloo. Drawn in by the colorful igloo, animals come to visit and they spend their days with Immi telling stories in the warmth of the igloo. But when her igloo begins to melt, she packs her things and decides to drop her polar bear pendant into the fishing hole. Across the other side of the world, an islander boy throws colorful treasures of his island into the ocean and wonders where they go. He then notices the white polar bear on the sand and puts it on his necklace, where the wooden bird once used to be. While I love the quiet message this book shares, I was also really impressed with the illustrations. They are big, detailed and emitted many emotions. One of my students said, “Ms. Barbieri, it makes my heart feel funny, like I’m gonna cry.” “Me too,” I said because I had a teardrop moment when I first read the story. 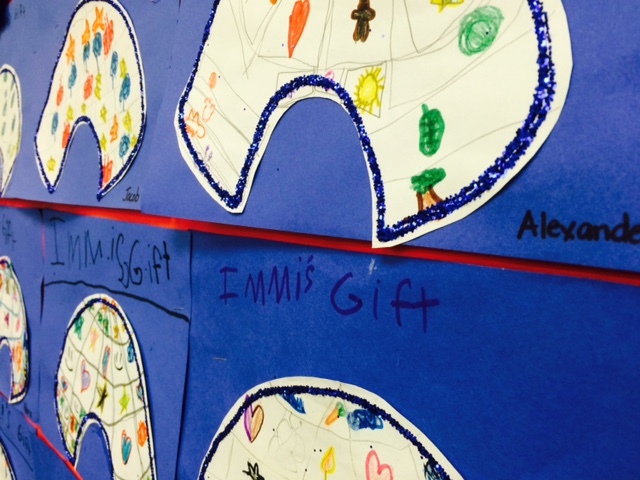 Students decorated their own igloos. 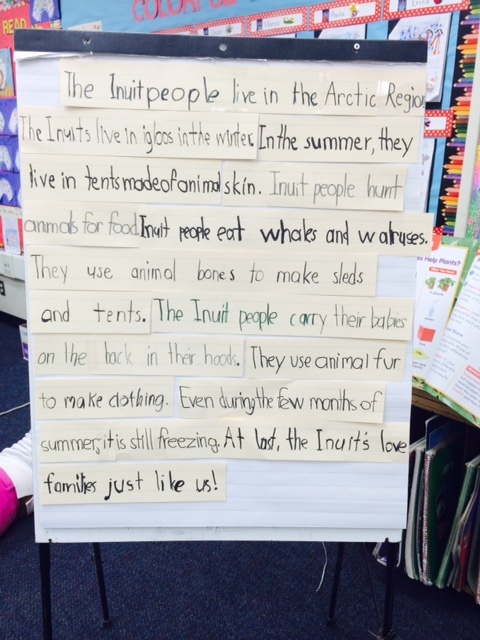 Interactive writing to develop a shared informative report. 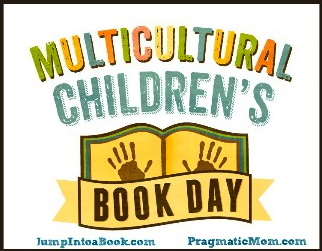 I explained to my first graders that while in our predominantly Latino community, we might look the same, if we were to go to a place where we were the only person who looked and sounded like us, then we would probably feel oddly different. And if someone were to make an ignorant comment about our culture and family, it would most likely hurt our feelings. I shared with them that while I was a college student at USF, a debate began over Proposition 209 (Affirmative Action) since it was a heated topic on the ballot. I looked around my class of about 30 students and noted I was the only person of color. A student then began to say why they should do away with Affirmative Action. I was and am, a proud product of Affirmative Action. After my classmate’s remark, one I found to be cutting, I remember feeling horribly alone and angry. Thankfully, it made me determined to be the top of my class. But think how many in this situation don’t make it, feel defeated and give up. As an educator, as a Latina, as a human being with diverse stories to tell, I see the importance of opening our students’ world perspectives and the need for diversity and inclusion in all communities. I shared this quote with my students and I hope they remember this conversation and Immi’s Gift. I have a dream that my four little children will one day live in a nation where they will not be judged by the color of their skin but by the content of their character. -Martin Luther King Jr. I invite you to participate in MCCBD 2015! I received a free copy of this book for MCCBD 2015. I was not compensated in any way for this review. All opinions and thoughts are my own.